Question: UML is Huge and Complex? What is the UML Survey States? The Unified Modeling Language is a standardized general-purpose modeling language and nowadays is managed as a de facto industry standard by the Object Management Group (OMG). UML includes a set of graphic notation techniques to create visual models for software-intensive systems. Another 7 represent general UML diagram types for behavioral modeling, including four that represent different aspects of interactions. UML is a truly a huge topic. UML provides a large volume of diagramming notation grouped into 14 different UML diagram types, each with different UML models, serving different purposes and addressing different aspects of development needs. Each UML diagram of the 14 UML diagram types provides a large set of constructs and notation that cover different needs for most of the software development projects. 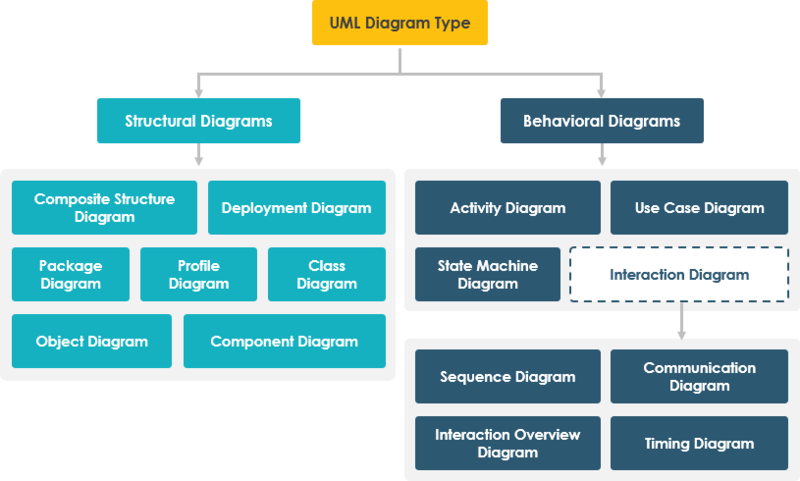 UML specification has more than 700 pages, and clearly considered as too complex and has a negative impact on the perception and adoption of UML. Typically, users tend to consider and use only a portion of its diagrams/constructs of UML. Grady Booch, one of the most important developer of Unified Modeling Language, stated that "For 80% of all software only 20% of UML is needed". What is the UML Survey* States? 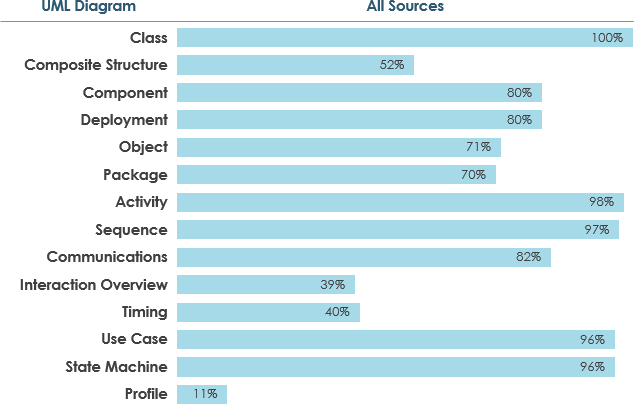 Based on the figures collected in the survey, you can have a better idea on how to start your UML learning journey by developing a meaningful UML learning plan. This article also provides you with an image map for quickly visiting to a series of "What is UML Diagram"papers (Just click the boxes of UML diagram in the image map above). Enjoy! Get Visual Paradigm Community Edition, a free UML tool that can help you learn UML faster & more effectively. Visual Paradigm Community Edition supports all UML diagram types. Its UML modeler is award-winning, easy-to-use and intuitive.